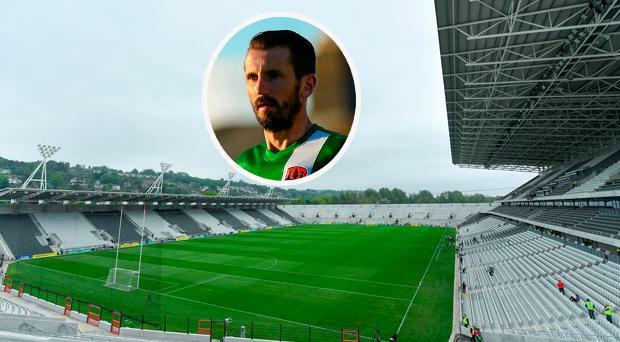 Organisers of the Liam Miller charity match were refused permission to host the game at Páirc Uí Chaoimh. The GAA have insisted that Páirc Uí Chaoimh will not host Liam Miller's Testimonial match in September. The Association has come under fire for refusing a request to stage the fundraiser - which will go ahead in the 7,000 capacity Turner's Cross - at the Cork venue which holds 45,000. But in a statement released this evening, the GAA insist the decision stands. "The GAA is prohibited in rule from hosting games other than those under the control of the Association in its stadia and grounds. The Cork County Committee and Central Council have no discretion in this matter," read the statement. "Only a change at Annual Congress can alter this situation. Congress takes place in February each year. "The GAA has sought legal advice around funding received towards the redevelopment of Páirc Uí Chaoimh and believes it is compliant with the terms and conditions laid down in September 2016. "The Association re-affirms its offer to provide hospitality facilities at the venue free gratis to assist fundraising efforts around the Liam Miller Tribute Match and wish the event organisers every success in their endeavours." Former Ireland, Manchester United and Celtic legends will take part in the fundraiser in Turner's Cross on September 25 with proceeds going towards the family of Liam, who lost his cancer battle earlier this year at the age of 36. Tickets for the match sold out in just minutes today. The legal advice cited in the GAA's statement emanates from a report in today's Irish Examiner that revealed the Government is to seek an explanation from the Cork County Board for their decision not to allow the Testimonial take place in Páirc Uí Chaoimh. The redevelopment of Páirc Uí Chaoimh cost €80m with €30m paid for from public funding on a condition that the stadium "will be open to various users on a non-discriminatory and transparent basis". The GAA's stance in not making an exception to its rule book has provoked a strong reaction. In today's Irish Independent, Colm Keys scrutinised the GAA's ruling and the feasibility of allowing the match to go ahead in Páirc Uí Chaoimh. "The GAA's Rule 5.1 portfolio serves the purpose of safeguarding the use of its pitches, halls and space for GAA use only," writes Keys. "The theory is that GAA space is for GAA use only and that any deviation from that to accommodate rival sports would only seek to promote those sports in a very competitive field. "It doesn't sit well with everyone naturally but like one of those signs behind the counter of a shop urging customers not to ask for credit as refusal often offends, a blanket ban for units and clubs takes care of all of that. "In most cases, GAA clubs are under so much pressure to house their own teams, especially with the exponential growth of ladies football, that rarely if ever do requests arise anyway, though a Longford club were sanctioned two years ago for running a Jamie Carragher summer soccer school. "But sometimes there are exceptional cases and the request by the organisers of a benefit match for the family of the late Liam Miller, former-Ireland international and Celtic and Manchester United soccer player, was just that. "Seeking to shift the game, to be played on September 25, to a bigger venue in Cork city, there was only one obvious choice. But Páirc Uí Chaoimh remains out of bounds because of the above rule. "One of the terms of Rule 5.1(a) is to allow use of property-grounds that is not in conflict with the Aims and Objects of the Association. Can it really be argued that a one-off benefit match for a sadly deceased soccer player's family is really "in conflict" with the GAA's Aims and Objects? "Rule 5.1(b) debars horseracing, greyhound racing and "field games other than those sanctioned by Central Council" but it's a provision that has irony. "Exceptions are made for Croke Park and the 2023 Rugby World Cup while American Football games have taken place at grounds away from Croke Park too." Barrister Tim O'Connor also spoke in a similar tone on RTE Radio today. "If you defined this as not a field sport, but as a charity event to raise funds for a voluntary association and Central Council view it as being this, send a letter of comfort to the Cork County Board saying 'we understand this position and it is the view of the Central Council that if a game went ahead under such circumstances Central Council would not seek to impose sanction on the Cork County Board'," said O'Connor. "They would be effectively saying 'we understand, we observe the rules, we will deal with it at Congress and we are not going to take any steps to punish'. "I can't dictate to the GAA or the Central Council, but they are things that they might want to consider as suggestions or ways around."